BELLINGHAM, Wash. – The Oly Town Artesians traveled to Belligham to kick off the preseason at the Northwest Indoor Soccer Invitational on Halloween. Brendan Rosgen scored two goals in three games including the game winner with less than a minute left in a 2-1 win over Vancouver Victory FC in game one of the tournament. The Artesians finished with a win and two losses in three 24 minute running clock games. It took nearly 15 minutes in game one for either team to get on the board, but the Victory struck first to take a 1-0 lead. Less than a minute later, Devin Peterhans scored from the middle on a breakaway to draw the Artesians level at 1-1. With time running down, Rosgen, who made his debut today after sitting out all of last season while recovering from an ACL injury, put Oly Town up for good with a strike inside the right post. Game two turned out to be a defensive affair that saw the Olympic Force take a 2-0 win. Despite the loss, the Artesians played tough defensively and were backed up by a handful of outstanding saves by goalkeeper Melvin Blacketer. 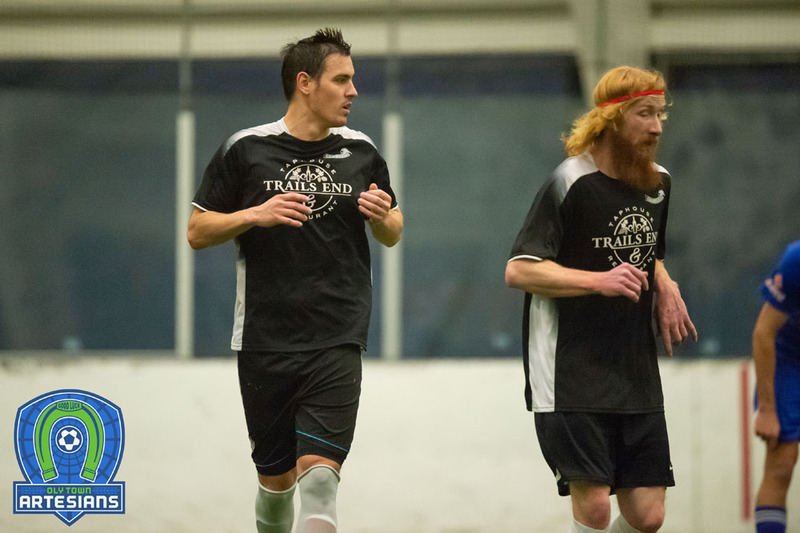 With just a two minute break between games, a tired bunch of Artesians quickly fell behind the Tacoma Stars Reserves but fought back to finish strong with a pair of goals. Rosgen scored his second of the tourney and Alberto Brand got on the board late in the contest in a 6-2 loss. 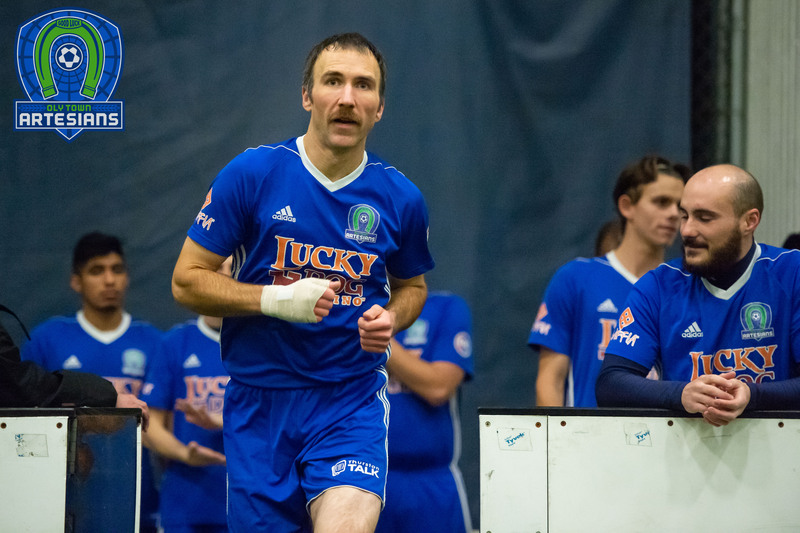 Later in the afternoon, the Olympic Force knocked off the Tacoma Stars Reserves 4-1 in the tournament championship game. 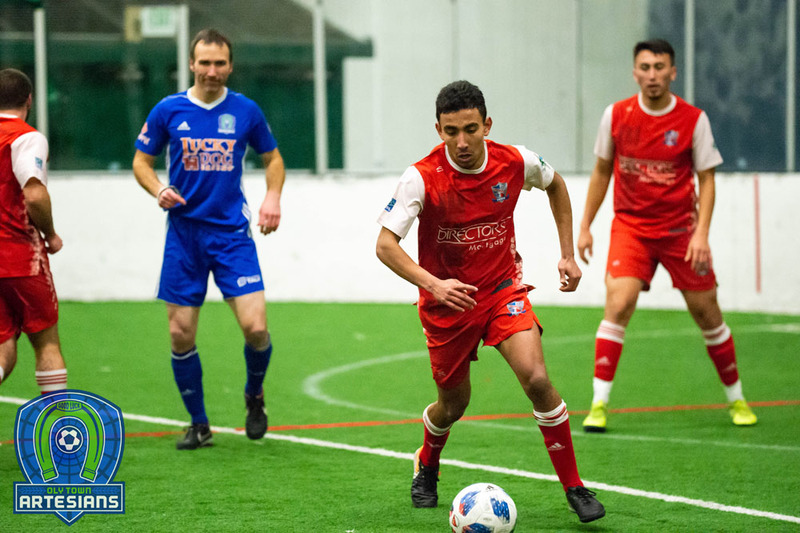 Six of the seven Western Indoor Soccer League teams participated in the preseason tournament including the Artesians, Victory, Stars Reserves, Force, the Snohomish Skyhawks and Bellingham United. 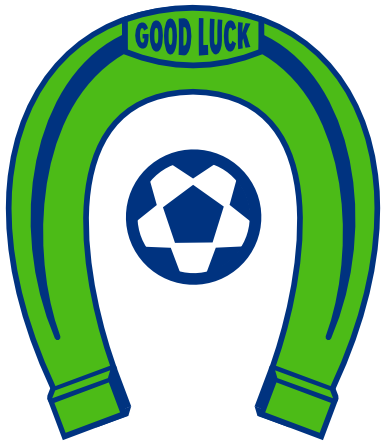 Oly Town now has four weeks to get ready for the Western Indoor Soccer League regular season. They kick off on the road on Saturday, November 28th against Sporting Everett FC and will make their debut at their new home at The Pavilion at The Evergreen State College on December 9th against the Tacoma Stars Reserves. Previous Article Artesians Season Tickets Available Now!